Entertainer Jackie Henrion of Mamaloose Music performs April 17, 2010 at the Providence Cancer Center Women's Show and Susan G. Komen Race for the Cure® fundraiser for cancer research. Message embedded in performance. Reading about Mother Joseph on her creative and spiritual path, when I think of the last words passed to her from her mentor Mother Gamelin of Montreal, '...humility, simplicity and charity,' ...I feel stronger. I am so grateful for the opportunity to offer my music in that spirit--perhaps there are no coincidences. Entertainer Jackie Henrion will perform at the Providence Cancer Center Spokane Womens Show Fundraiser April 17, 2010 at 11:15 and 2:30. The event raises money for cancer research in partnership with the Susan G. Komen Race for the Cure.® Mike Erwert, organizer of the annual fundraiser, first saw Jackie perform at north Idaho's Hope Market Cafe. "Jackie's music is perfect for our audience!" Mike said. "I wanted her for our show." "When I looked into the not-for-profit Spokane Providence Cancer Center services, the story of the founder was inspiring. 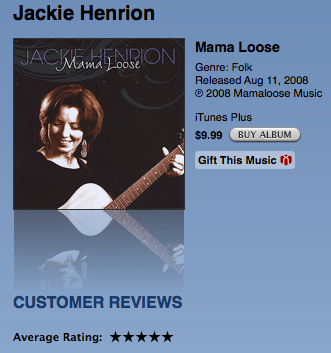 Women are a spiritual resource," says songwriter Jackie Henrion. The founder of Providence, Mother Joseph, came to the Northwest in 1856 She threw herself into the work of caring for orphans, the sick, the poor, the displaced. She was instrumental in establishing hospitals, clinics and schools. Today, Providence Health & Services includes 27 hospitals, 35 care facilities, a university and a high school, in Alaska, Washington, Idaho, Montana, Oregon, California. They also provide volunteers that work in 30 international locations from Afghanistan to Zambia. Henrion's music echoes Mother Joseph's compassion. "Whether I am performing in an intimate cafe, a festival, or in the privacy of a house concert, I sing from a sense of communion and caring about common frailties and struggles. In Providence I see an institution built on similar values, hard at work for over 150 years. I am honored to be part of furthering their work." "Reading about Mother Joseph on her creative and spiritual path, when I think of the last words passed to her from her mentor Mother Gamelin of Montreal, '...humility, simplicity and charity,' ...I feel stronger. I am so grateful for the opportunity to offer my music in that spirit--perhaps there are no coincidences." Established in 2007, Mamaloose Music Inc., along with a team of independent music professionals, develops songs and business strategies based on new technologies and classic aesthetics. The company develops resources for singer/songwriters to retain ownership of their intellectual property, maximize revenue and share music directly with their audience. The company supports the concepts of personal awareness, social consciousness and the songs of women as a spiritual force. 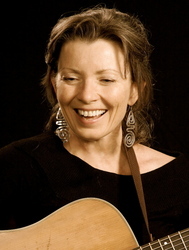 Cds can be purchased on the Mamaloose Music Website http://www.mamaloosemusic.com, along with information on song commissions, licensing, performance booking, teaching and speaking.